This is a photo (by my father) of my early experience with vanlife. 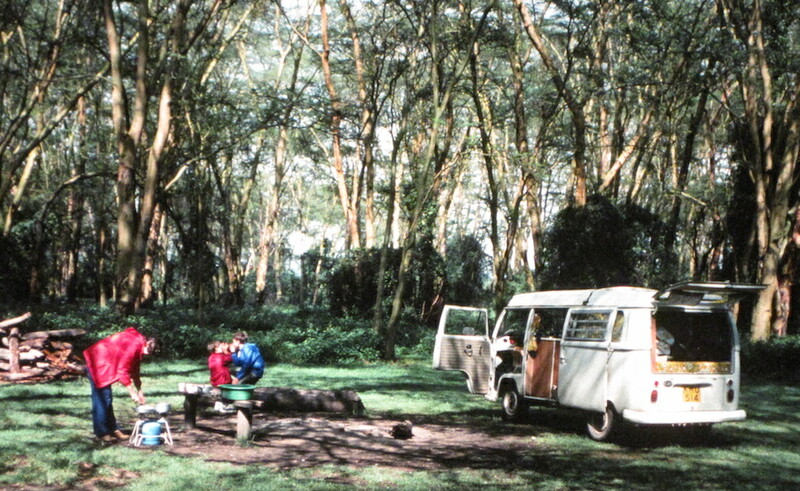 My family took this VW Van in Kenya when I was a kid. We only spent a couple weeks in Kenya before living in Nigeria for a school year. I remember at one point getting stuck in a dried out riverbed in a game park after having passed a small herd of elephants just a short while before. We had to get out and push the van free and watch it zoom forward to safe ground while I thought about the elephants getting curios and deciding to see what the fuss was about. It was quite fun once I was back in the van.